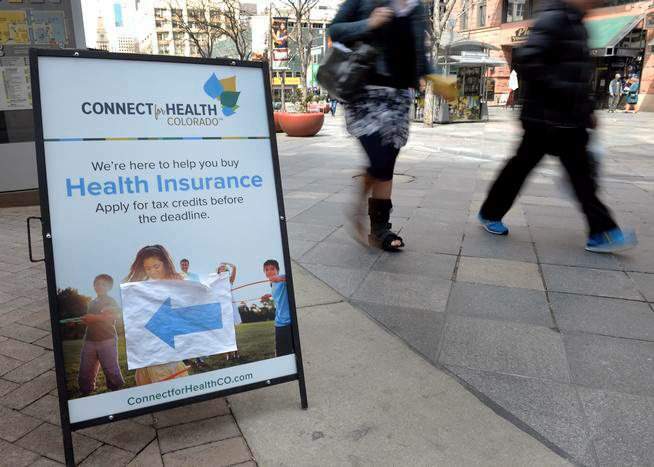 DENVER – An audit of Connect for Health Colorado found the state health care exchange has made strides to become financially self-sufficient since 2014, when it was last audited, but needs to evaluate its policies and procedures to ensure they are being followed by staff. According to the audit, the state-run marketplace for health insurance, created in response to the Affordable Care Act, cut expenses by $18.5 million between 2015 and 2017 through renegotiating contracts with carriers and reducing administrative expenses. The exchange also generated $16.2 million in new revenue by raising fees on insurance companies that sell coverage through the state exchange in 2017. Connect for Health estimates a surplus of $2.6 million in 2017 as a result of the cuts and revenue increases, according to the audit. The surplus is expected to be used to backfill a shortfall of $1.5 million in 2018, but Connect for Health is expected to generate a small surplus in 2019. These projections could impact Congress, which is expected to make significant changes to the Affordable Care Act. While the outlook for the state exchange’s financial stability looks good, there were a number of issues in implementing financial policies. A number of contracts, totaling $3.99 million, were not approved in accordance with Connect for Health’s policies, including one for $2.9 million that was signed by an employee who was not authorized to execute contacts, according to the audit. The state auditor suggested Connect for Health update its policies to reflect the process management and staff are expected to follow. The audit also showed the exchange improved customer service by updating its website and expanding call centers. Connect for Health has reduced wait times from 11 minutes in 2014 to 3 minutes in 2016. But the audit says the exchange needs to improve the way it handles appeals and complaints. In 2016, 385,200 tickets were filed with call centers for Connect for Health. There were 153 appeals, a third of which were not handled in the required 90-day period, and 22 complaints. The number of complaints is misleading since policy requires any complaints be mailed to Connect for Health. Lawmakers on the Legislative Audit Committee noted how outdated the policy is. “There’s very few people these days that actually would know how to write a letter and put it in an envelope and put a stamp on it,” said Rep. Tracy Kraft-Tharp, D-Arvada. Kevin Patterson, CEO of Connect for Health, acknowledged that it needed to update the complaint policy. “It’s a definition that I’m going to say I did not really appreciate until this process began, so I understand your concerns about it,” he said. During the 2017 legislative session, Senate Republicans put forth Senate Bill 3 to repeal Connect for Health on the basis that it costs taxpayers to keep afloat and it fails to deliver on the Legislature’s intent. Sen. Jim Smallwood, R-Parker and sponsor of SB 3, said he still believes something must be done about the exchange because it fails to provide affordable health care coverage and carrier options for counties that are reduced to one provider. Smallwood also questions if the exchange can be self-sustaining without taxpayer money. Roughly 11 percent of Connect for Health’s revenue in 2016 came from $5 million in donations from insurance carriers, which is returned as a tax credit to the companies. “What it’s missing is there’s still $5 million in taxpayer money through the carrier donations that ... goes into the formula of self-sufficiency ... Minus that $5 million of taxpayer money, it doesn’t appear to me that the exchange is self-sufficient,” Smallwood said.